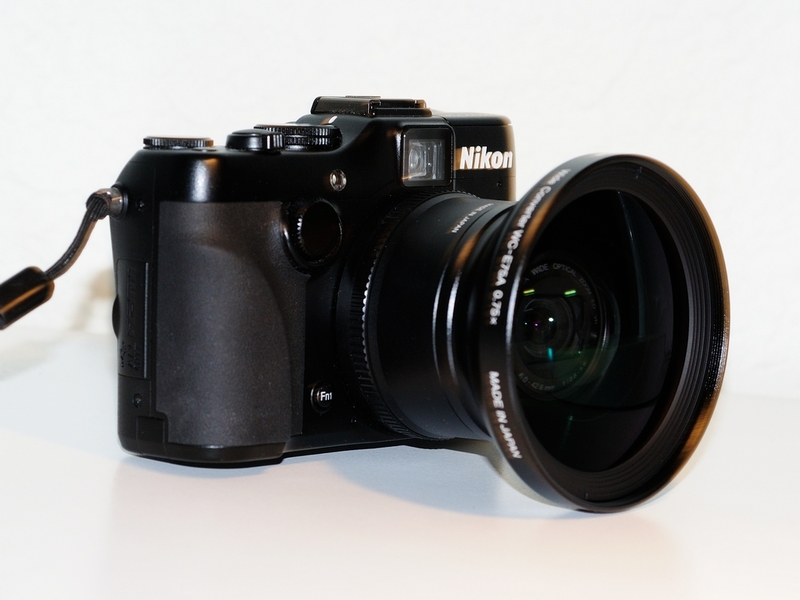 I mentioned the Nikon WC-E75A and UR-E22 adapter in a previous post. 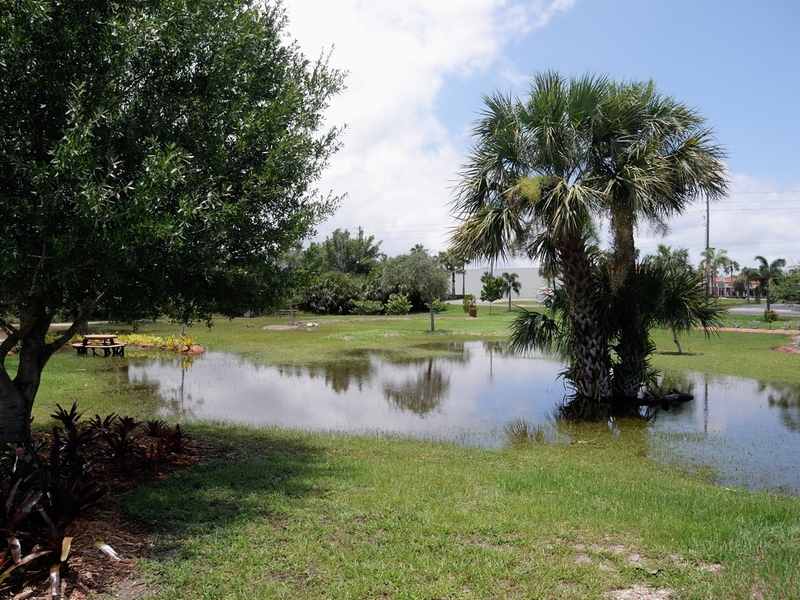 Today, I went to the Punta Gorda Nature Park to see how it had fared with the rains and flooding of Tropical Storm Debby. It was hard to tell. 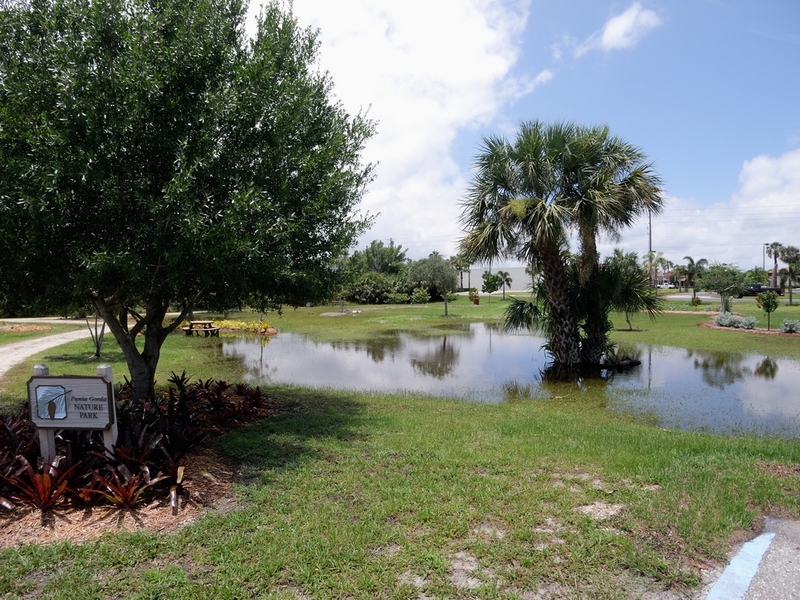 The paths were still flooded so, I was pretty much stuck at the parking lot without using better boots than I had on. I decided this was a chance to show the WC-E75A again and it’s effect on a scene. The converter and adapter look like this off and on camera. The wideangle of the P7100 is 6mm, a 28mm equivalent in 35mm terms. 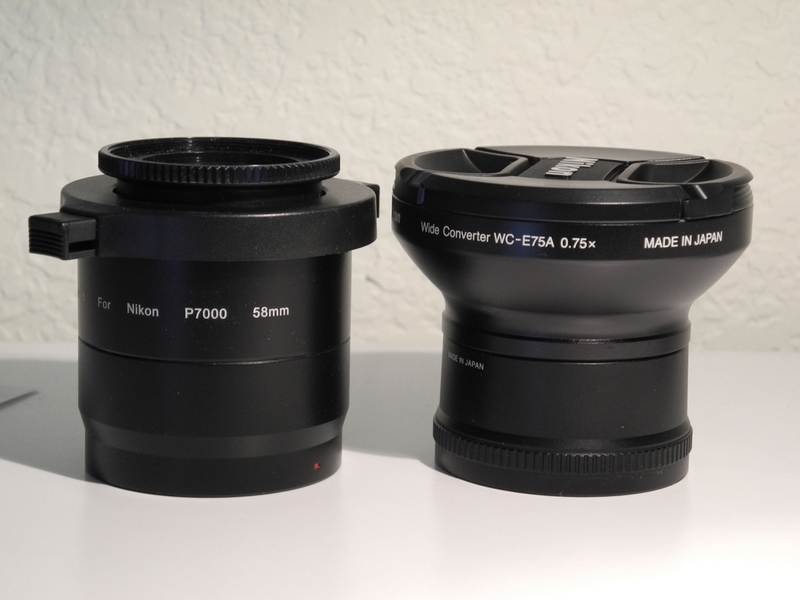 The 75 means that it makes the focal length 3/4 of it’s original length or a 4.5mm or a 21mm equivalent. In practice, it does add a good deal to the field of view of the lens. The left picture here was taken with the WC-75A and the one on the right without the converter. It certainly adds to the FOV and does not hurt image quality. It is a fairly expensive way to get more FOV but, if that suits your needs is worthwhile. This entry was posted in Camera Gear, Park, Photography, Scenic and tagged coolpix P7100, Nature Park, Nikon P7100, P7100, Photography, Punta Gorda, ur-e22, WC-75A. Bookmark the permalink.